Chocolate Fudge Pecan Pie is a fudge-y dessert with a brownie kind of texture in a classic pie crust. Serve with whipped cream or ice cream for maximum o-o-o-ohs and ah-h-h-s. I have a new mission in life. I’m getting rid of a bunch of my old cookbooks. Most have only one or two recipes I use regularly. So I plan to start posting the best recipes here. Then that cookbook goes out the door. Of course, as soon as I get rid of one, I will wish I had that cookbook back. But it’s a risk I’m willing to take. I love to clean things out and get rid of clutter–gives me a feeling of control, even if it’s a delusion. Guessing you already have the ingredients in your fridge or pantry. If not, they are readily available–even at the local 7-11. And it’s easy. Doesn’t require you to haul out the big mixer. Which means you won’t have many dirty dishes either. A winner! Lick the mixing bowl and you will think of brownies-a light brownie with pecans. Recommend serving this with ice cream or whipped cream to cut the richness. Try it with my coffee ice cream. 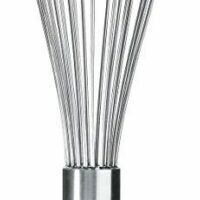 Mix eggs and sugar with a whisk. Add melted butter and chocolate. (I melt it in a pyrex dish in the microwave for 2 minutes on MED.) Add in remaining ingredients. Pour into unbaked pie shell. Bake at 375 degrees for about 35 minutes. The pie should still be somewhat shaky when removed from oven. Do not chill. Serve with ice cream or whipped cream if desired. Cut small pieces--it's rich. 1. 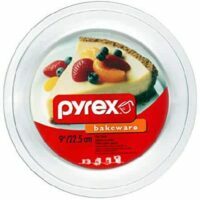 If you have a 7-inch pie plate, cut the recipe in half and it will be the perfect size for 6 people. 2. It is normal for pie to puff up in the oven--and then crash like a souffle as it cools leaving a crackly, crunchy top with soft, luscious filling underneath. Do you use a regular 9 inch pie shell or a deep dish? The pie looks great and I think the coffee ice cream is a GREAT idea! I wonder if this would be good with a graham cracker crust (making it even easier?!?!?!?!?). On a different note, I tried your microwave method for toasting some coconut…. it seemed like it would be a good addition to Lemon Curd Ice Cream. The method was super easy and fast – I am a believer! Oh that pie looks incredible! I know where you are coming from with all of the cookbooks. I pretty much do the same thing, which made me wonder just how many amazing recipes I haven’t tried yet. I tend to stay with what I’m comfortable with. That might have been a mistake. 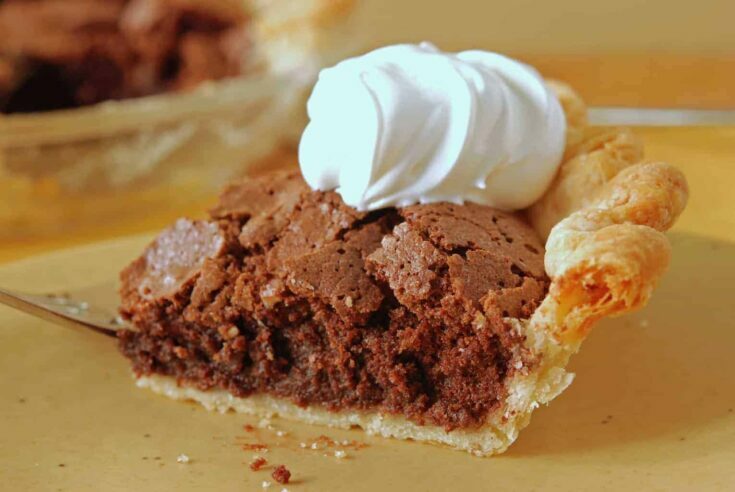 Looks yummy, almost like brownie pie.